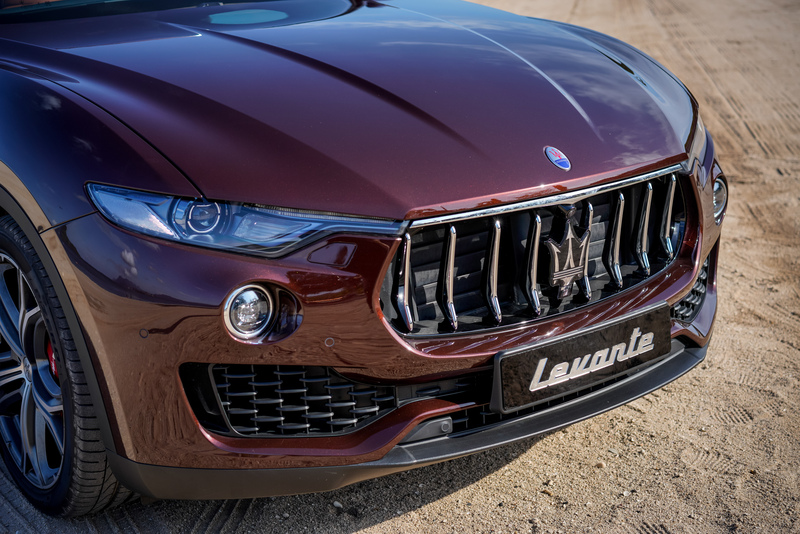 With the makings of a monster, but the refinement of a beast, Maserati Levante S handles and roars like a champion half its size. Few things bring more colour to an island trip, but an Italian luxury SUV makes the cut, easy. 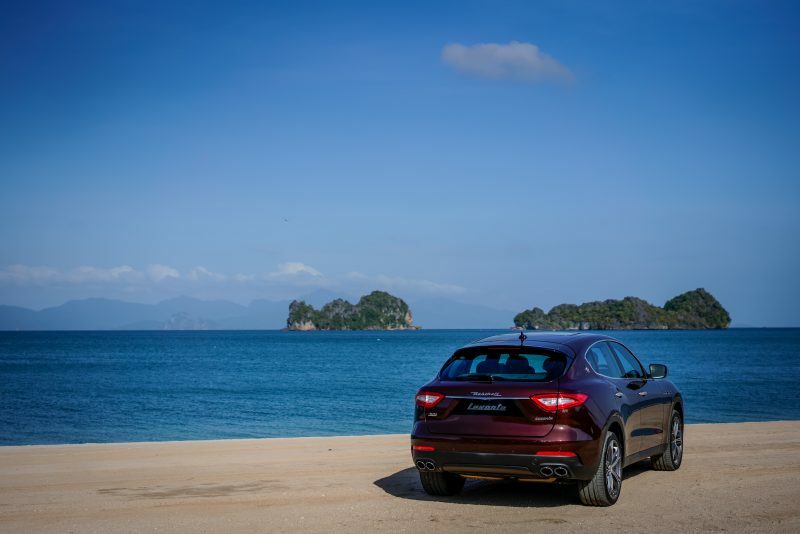 We discovered this spending a day with the 2019 Maserati Levante S GranSport in idyllic Langkawi. Right off the bat, you can tell the Maserati Levante S is chunky, but not clunky. Men often lend cars feminine traits, but this one has an unmistakable masculine vibe. 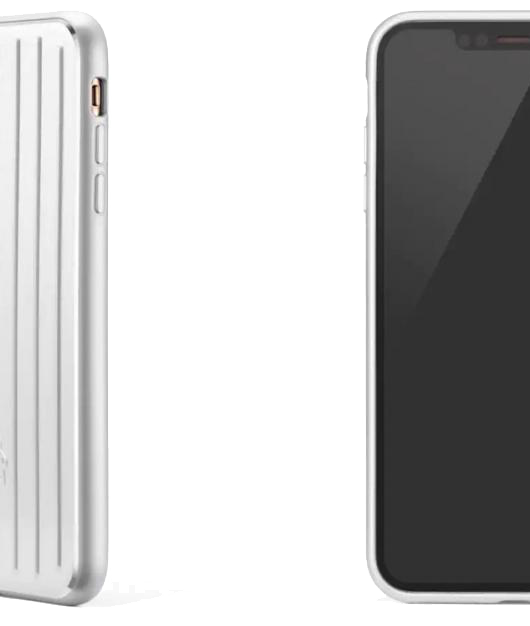 Its size alludes to elegant security, while its muscular design pulls you into the embrace of Italian finesse. Oh, and don’t get us started on that growl. While the frameless doors lend a low-key coupe aesthetic, muscular haunches reign this SUV right back into sports-utility territory. Contrasting elements are subtle yet noticable, like those feline headlights outlining a front silhouette that’s sleek as a cat’s. 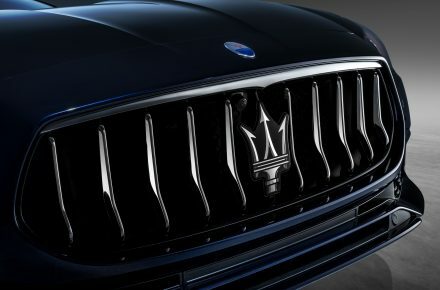 These lights are framed by a lowered fascia, supporting a familiar grille – you may remember it from the Alfieri, a warm reference for fans of Italian luxury. The GranSport trim delivers Black Piano inserts on the front and back, as well as red brake calipers on the front wheel. 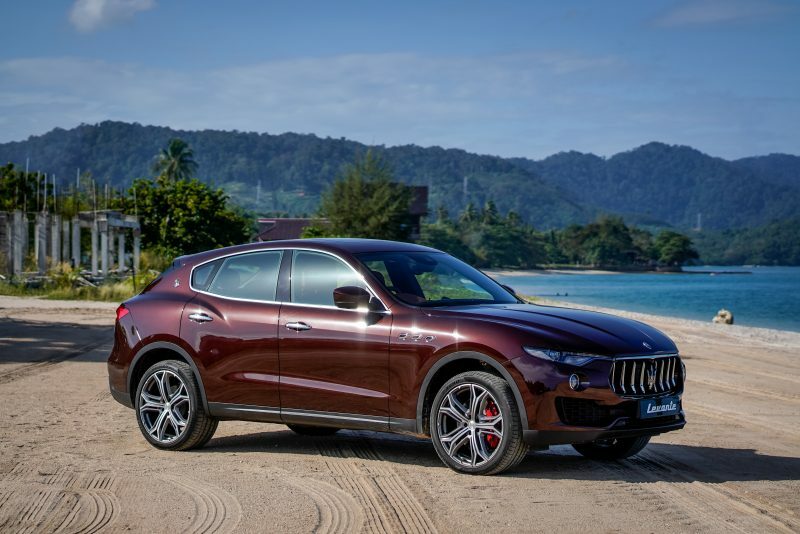 These 21-inch Helios wheels immediately catch the eye, but frankly, its exterior is the least impressive part of the Maserati Levante S.
But also for family, a consumer segment Maserati is clearly targeting with this model. 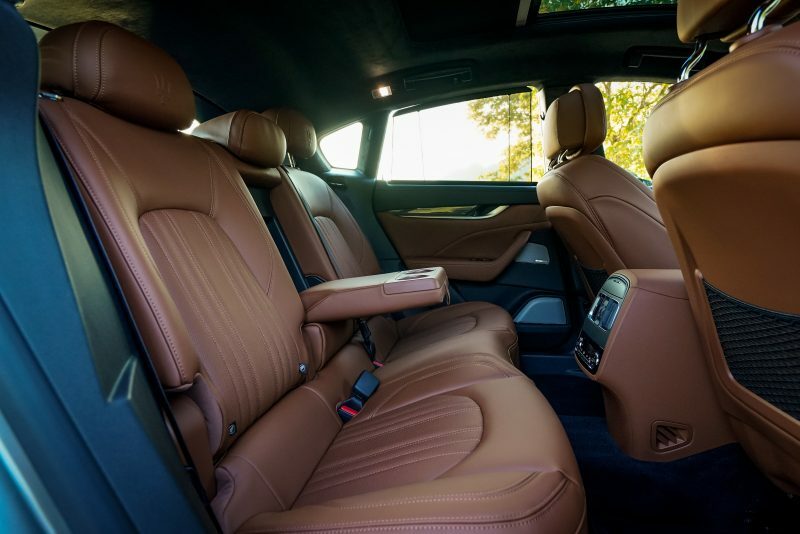 Inside, the Levante S ticks all boxes for basic comfort: space for five, dual-zone climate control and fine-grain leather upholstery providing a deliciously flawless interior. It’s one you wouldn’t mind sitting in yourself, when the kids aren’t climbing all over. Electric panorama sunroof tilts and slides to let in rays of island sunshine, lending illusion of added depth and breadth to an already spacious cabin. The roof is slightly lower for this reason, but it’s not a fault. In fact, the cabin feels expansive but not intimidating; the sport steering wheel and suspension that does the job so well, you can’t help but form a grin as you hit 100 km/h. 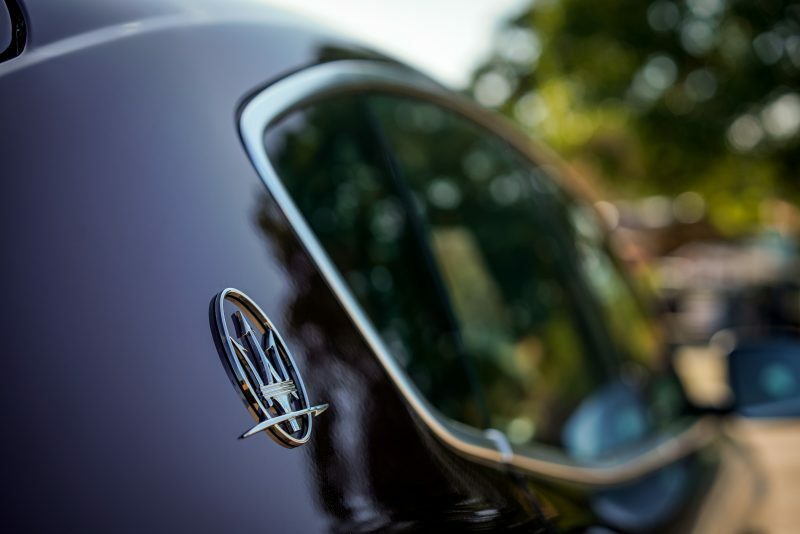 In true Italian fashion, style is not compromised. 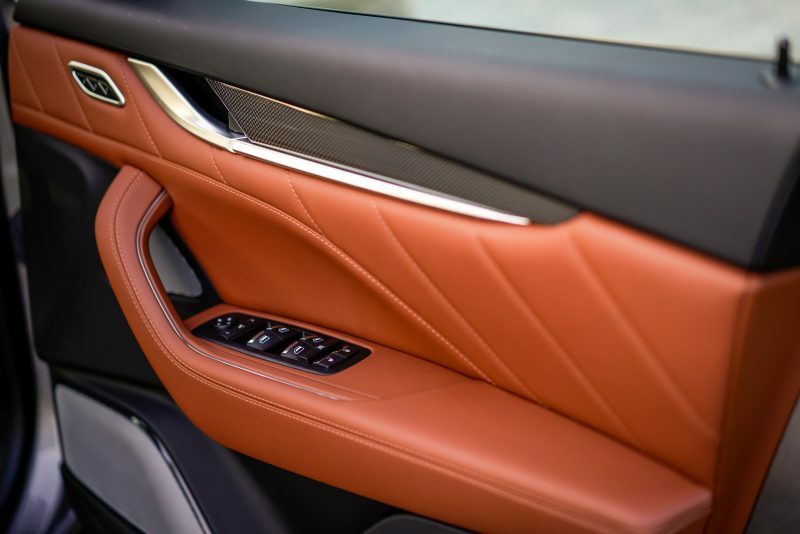 The smallest touches can exude a sense of luxury in the Maserati Levante S (see: authentic carbon-fibre trims, improved display graphics). It’s really the icing on the cake made of creamy, dreamy handling. Perhaps we’re romanticising a tiny bit, but zipping past coastal lanes and hilly trunk roads of Langkawi felt like it was exactly what Levante S was built to do. 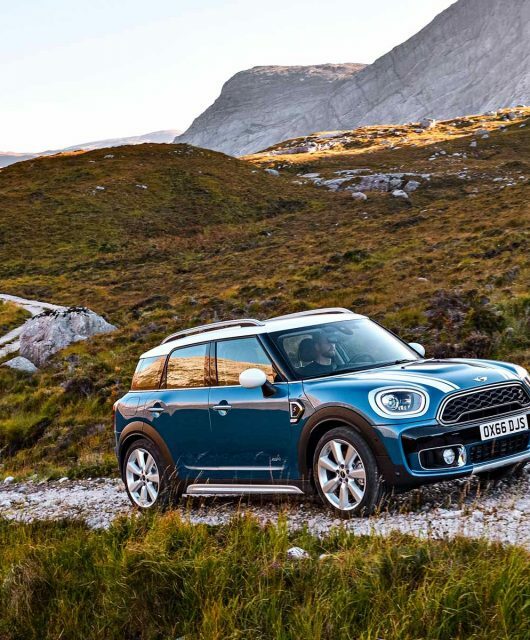 Its drive modes play a large part – sports mode spoiled us silly, but it was off-road that really wowed. It makes any terrain stable and smooth, enjoyable to traverse with minimal effort. 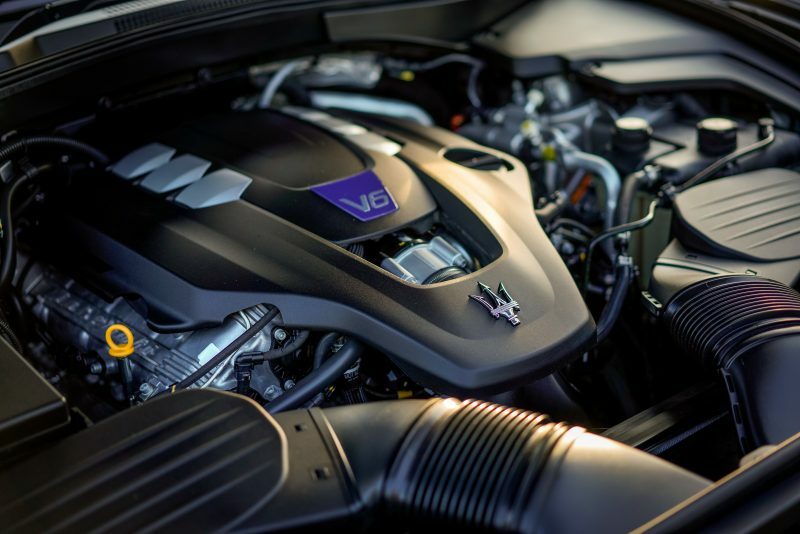 When purchasing an SUV, the engine is rarely a primary concern. 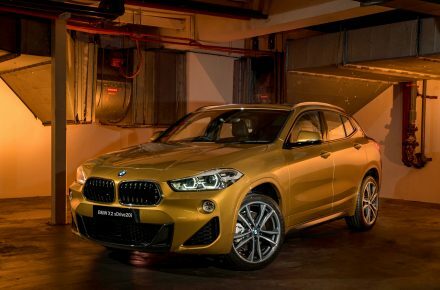 But this is not any old SUV – it’s the Maserati of SUVs, and its engine got a little Ferrari touch from friends at Maranello. The result is a satisfying growl that leads one to believe the Levante S has eaten a supercar for breakfast. The engine symphony is unexpected of a vehicle of this size and stature. 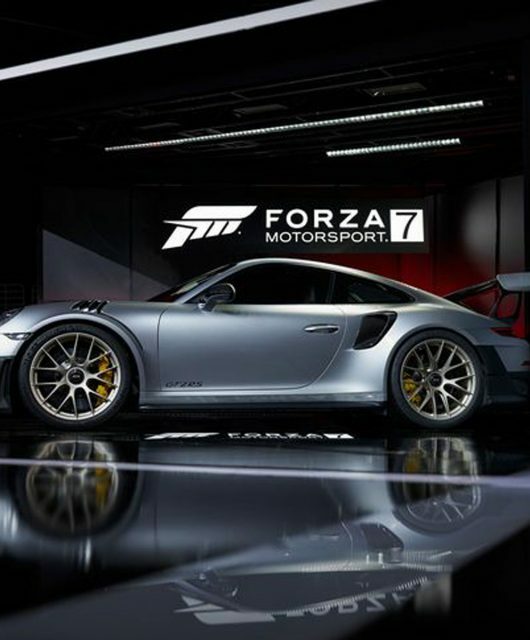 You can attain a century sprint of 5.2 seconds, or come close to 284 km/h top speed, without much effort or fuss. 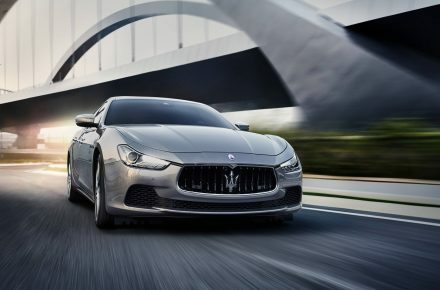 Maserati has improved on the 8-speed ZF automatic gearbox, with a gearshift lever that is comfortable and intuitive. 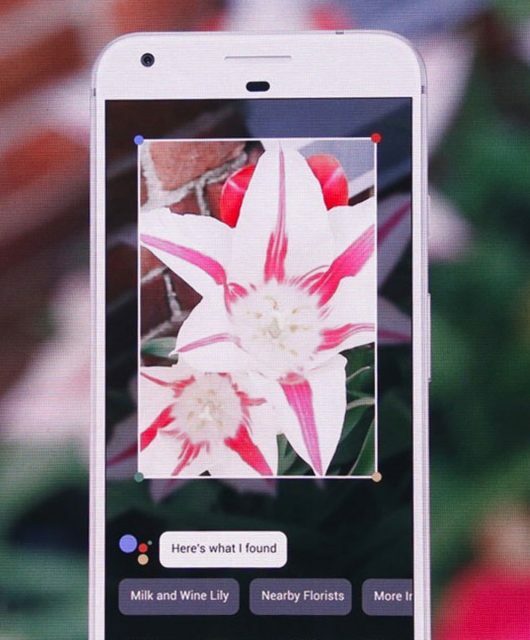 You can enter manual mode by shifting the level from left to right. In contrast to other big vehicles, shifting gears at low speed feels utterly seamless. 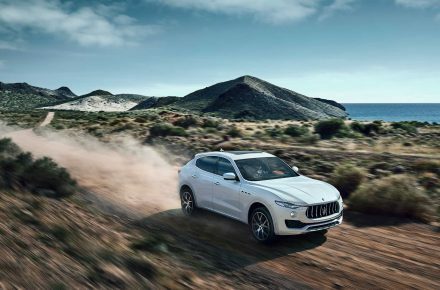 Adapted cruise control helps keep a rein on the Levante, but there’s really no reason to tame this one. 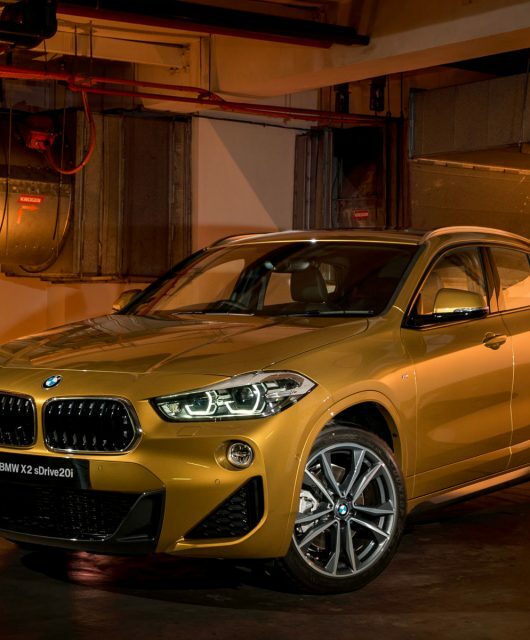 Here is an SUV with the makings of a monster, but the refinement of a beast. 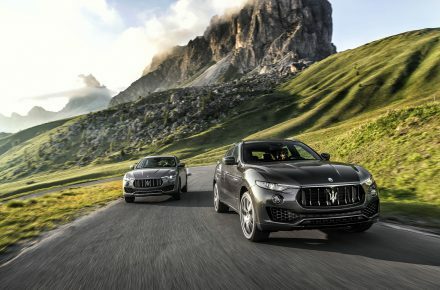 Levante S handles and roars like a champion half its size, leaving little wonder to the appeal of this Maserati of SUVs. 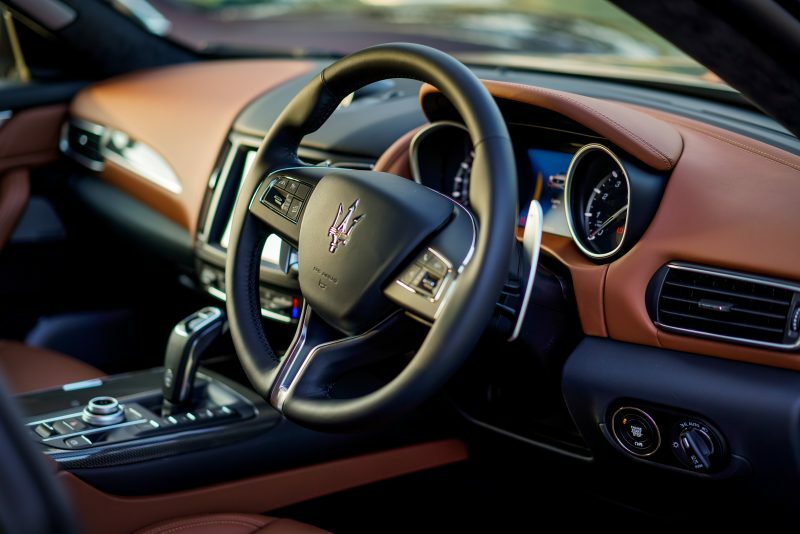 The Maserati Levante will cost you a pretty sum of RM 788,800 (including tax and duties).  This is complete with 3 years standard warranty. Check out the 2019 Nerissimo package for colour and design options. 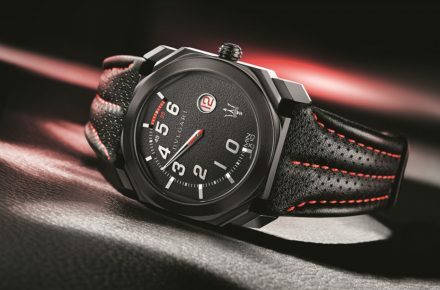 For more information and updates, follow Maserati Malaysia on Facebook and Instagram.